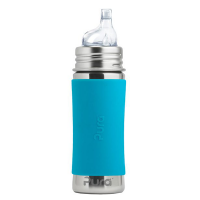 Pura's 9oz Kiki insulated straw bottles help little ones to make the transition from sippy to a 'big-kids' bottle. Each straw bottle is 100% BPA/BPS-free. Both the bottle and collar are crafted from safe, high grade #304 stainless steel and the straw top is made from medical grade silicone, a much safer option than plastic. 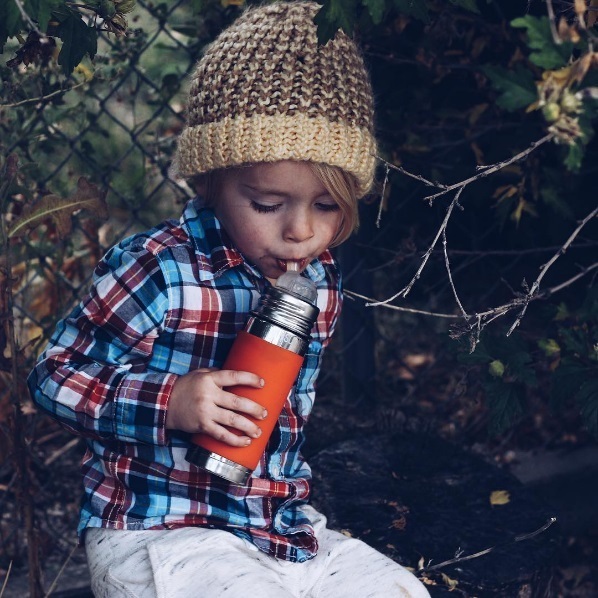 Perfect when out and about, its double layers of stainless steel insulates the contents and keeps it WARM or COLD for up to 6 hours (cold for up to 24 hours with ice cubes)! 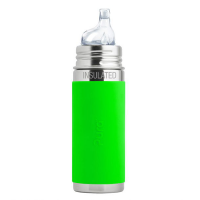 The perfect size for little hands, each bottle comes with a soft silicone sleeve which makes holding the bottle easier, a straw top and a silicone travel cover. 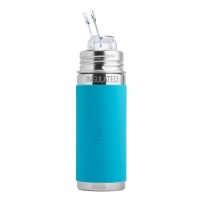 The wide mouth allows for easy cleaning, pouring, and filling. 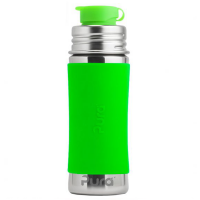 This bottle easily converts into a lunch box friendly water bottle by simply swapping the straw spout for a Pura silicone junior sports top. Dishwasher safe, and shatter-proof. 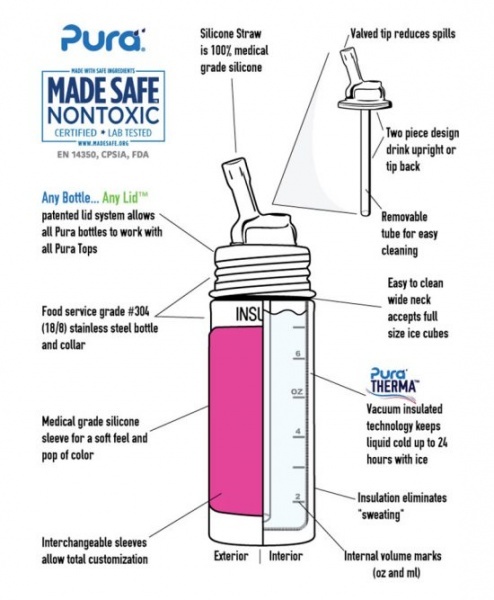 BPA/BPS-free and will not leach toxins.